In my previous post, I went through the paces of creating a JSON Schema to describe the JSON that my service will accept and return. The process leans on the prmd gem to supply the initial JSON Schema templates, as well as validation and document generation. All in all, it’s a process that feels like it should be more automated. I went through a fair amount of pain to get the schema created, manually defining types and links in my text editor. At the end of the effort, I have a .json file that describes what my API will accept and return, as well as matching Markdown documentation to boot. In that post, I made promise of something better. A land where writing unit tests that verify the JSON returned by my Rails API is possible. A land where the production application will reject requests that do not conform to our JSON schema. Does that sound like a wonderful place? It does to me. This post will build that land, showing you how to feed the schema into tools provided by the committee gem, using those tools to verify tests and application requests. the RSpec tests to validate the JSON Schema. 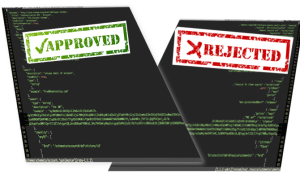 requests to the application to be validated against the JSON Schema. Check out the Gemfile for the gem’s I am using. The most important one is the committee gem, obviously. schema_path points to the JSON Schema file generated with prmd. last_response and last_request are conventions from Sinatra testing. #: failed schema #/definitions/account/links/4/targetSchema: "data" wasn't supplied. #/data/id: failed schema #/definitions/account/links/4/targetSchema/properties/data/properties/id: 4 is not a string. Back to our test, after going through the steps to make id a UUID (this is harder than it should be for SQLite3, btw), the tests pass. Check the repo for the UUID steps. `GET /accounts/c0adbb04-7706-4da8-8c04-d82079b72287` undefined in schema. Excellent. Committee will test for valid links (path and method) and response format. We’ve now realized one of the major benefits that Committee offers. Here, there’s quick check that the schema file exists, then the middleware is engaged. Each middleware has a its own set of options that allow some fine tuning. allow_form_params: Specifies that input can alternatively be specified as application/x-www-form-urlencoded parameters when possible. This won’t work for more complex schema validations. allow_query_params: Specifies that query string parameters will be taken into consideration when doing validation (defaults to true). check_content_type: Specifies that content_type should be verified according jsonschema definition. (defaults to true). optimistic_json: Will attempt to parse JSON in the request body even without a Content-Type: application/json before falling back to other options (defaults to false). prefix: Mounts the middleware to respond at a configured prefix. raise: Raise an exception on error instead of responding with a generic error body (defaults to false). strict: Puts the middleware into strict mode, meaning that paths which are not defined in the schema will be responded to with a 404 instead of being run (default to false). Whoa! What’s that? Seems like we have a discrepancy between what the specs are returning and what the application actually returns. Hmph. Well, let’s use this as a chance to point out the response validation working coughs. In a real app you should be using a serialization framework, like active_model_serializers or roar, so you’d likely avoid this issue. The important takeaway here is that an invalid request won’t get to your controller. That is called failing fast and all the cool kids are doing it. The most interesting option here, to me, is error_class. This allows you to specify a class to use to return errors. We really wanted this option so our errors could be JSON API compliant. We already saw an example of response validation working, so let’s move on to what else Committee brings to the party. and start the server, we can hit any of the links defined in our JSON schema without having to implement them. This is crazy cool. "description": "True/false - generate refresh token (optional)"
The response relies on `examples` being defined for each field in the JSON schema file. And, BANGO, working API server. How cool is that? The obvious use case here is the ability to provide a “working” implementation of the server to other teams or designers while you work on the implementation. The committee gem provides some desperately needed functionality to any team creating API servers in Ruby. While today’s examples use Rails, both the prmd and committee gems were created for pliny, which is a Sinatra-based framework. If you are creating APIs, you need to start treating the JSON like it’s a grown-up part of the application. PRMD and Committee give you the tools to do just that. If you have any thoughts or think I got something wrong, please let me know in the comments.